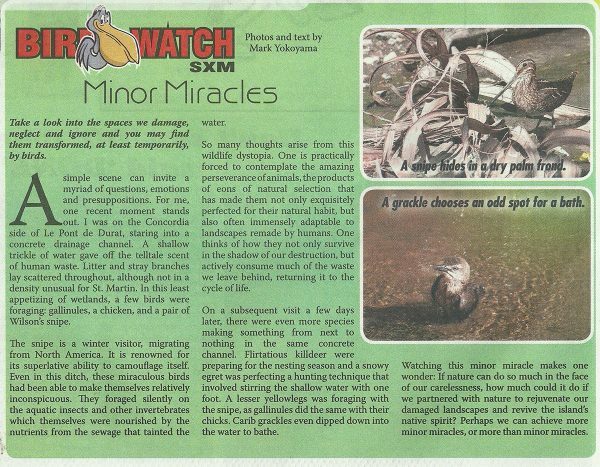 Bird Watch SXM is back in The Daily Herald’s Weekender today. It will alternate with Wild Statia. 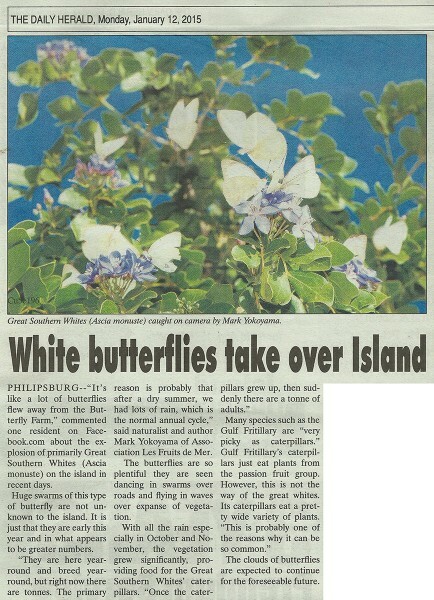 This week, we take a look at one of the minor miracles that happen all over the island when birds transform the spaces we neglect. What’s up with all these butterflies? 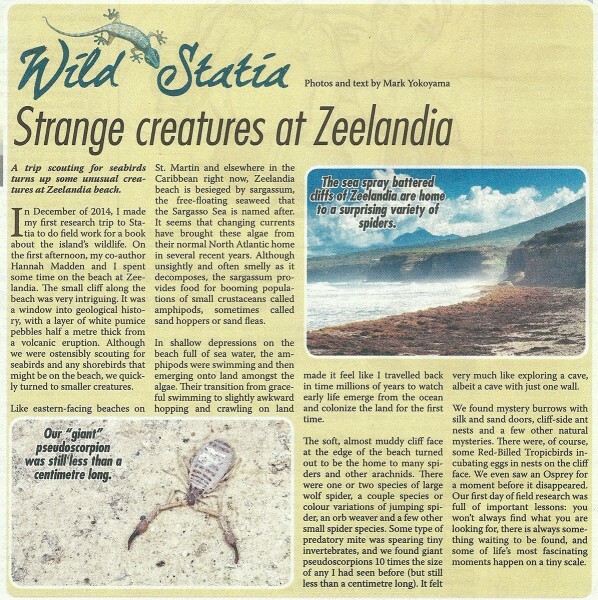 Find out what strange things we found on the beach in Statia! Enjoy this great video footage of the 2014 Migratory Bird Festival from Mikael Bastide of Guadeloupe 1ère! 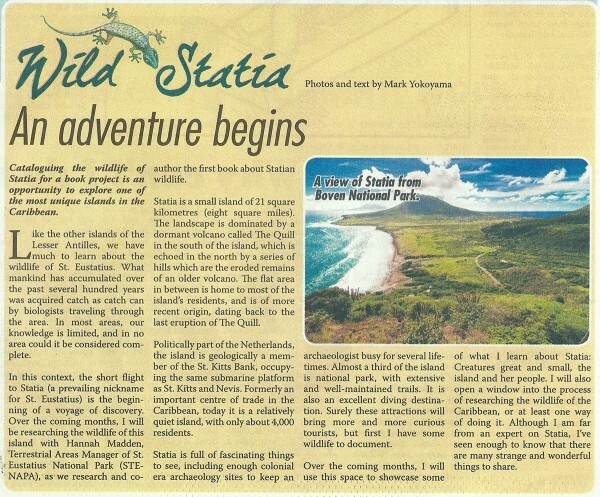 The new column Wild Statia launched in The Daily Herald’s Weekender section this morning. It will document the wildlife of Statia, the island itself, and the process of making a book about the island’s wildlife. Being on Statia is amazing, hopefully reading about it will be at least a bit interesting! 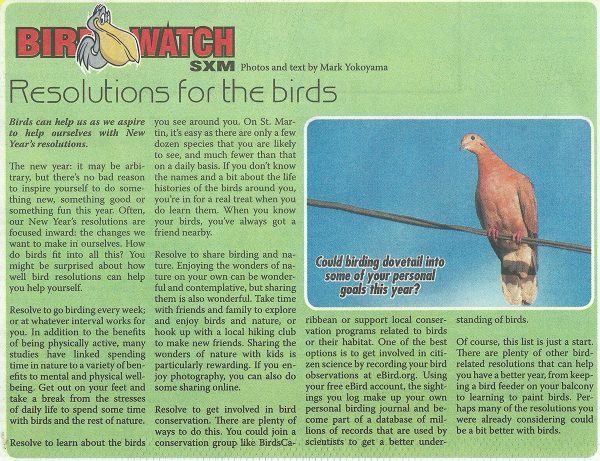 The new year brings the first Bird Watch SXM column for the year…about resolutions! Do your New Year’s resolutions involve birds? Perhaps they should!